First, we read the Caldecott Winning picture book, "The Little House" by Virginia Lee Burton. This is a longer book than I would usually read aloud to preschool, but there are some children that this story just fascinates, since the story is about the passage of seasons and time around the little house and ends satisfyingly. Then, we did a little practice with writing H, using the path of motion practice sheet (included in our packet). And then, we went right to coloring our House Craft. 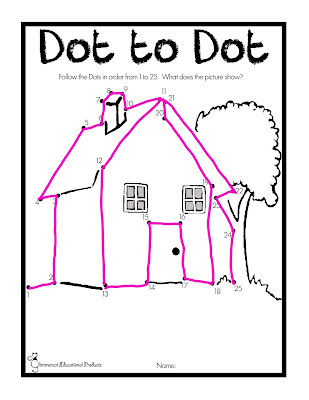 This is included in our Letter of the Week Packet for H as a colored version, also, but my kids always love the one they can color in themselves. I helped Little Miss to finish her coloring, and I also cut out the house and roof shape when she was done. I chatted with her a little about patterns as we colored in her roof lines. We use tape on this craft because it tape is more helpful in holding the edges of the little paper house together. Again, I helped a bit with this part. 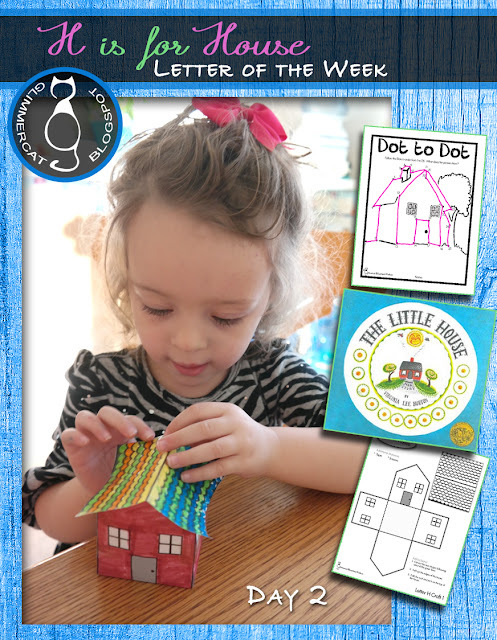 On this day, Little Miss was ready to be done at this point, so I let her go off and play, but if your child is still raring to go, there is one more activity we have in our packet that has to do with houses. 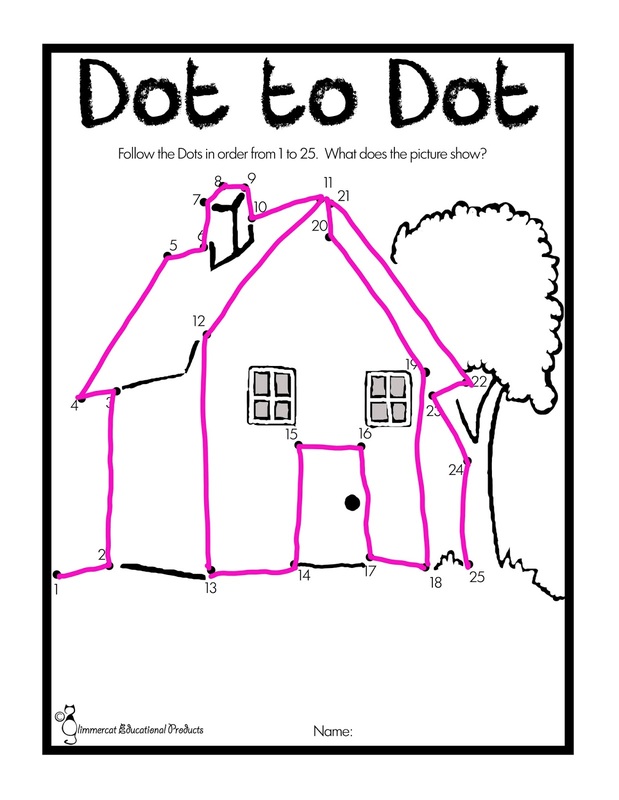 This Dot to Dot activity comes together like the above picture shows. My daughter completed it later and called it her "Winnie the Pooh House", which isn't too far off, I suppose.